My name is Jonathan Burgess, and I run the False Favourites members club. Through sheer determination and hard work a decent percentage of my income now comes from betting on the sport. 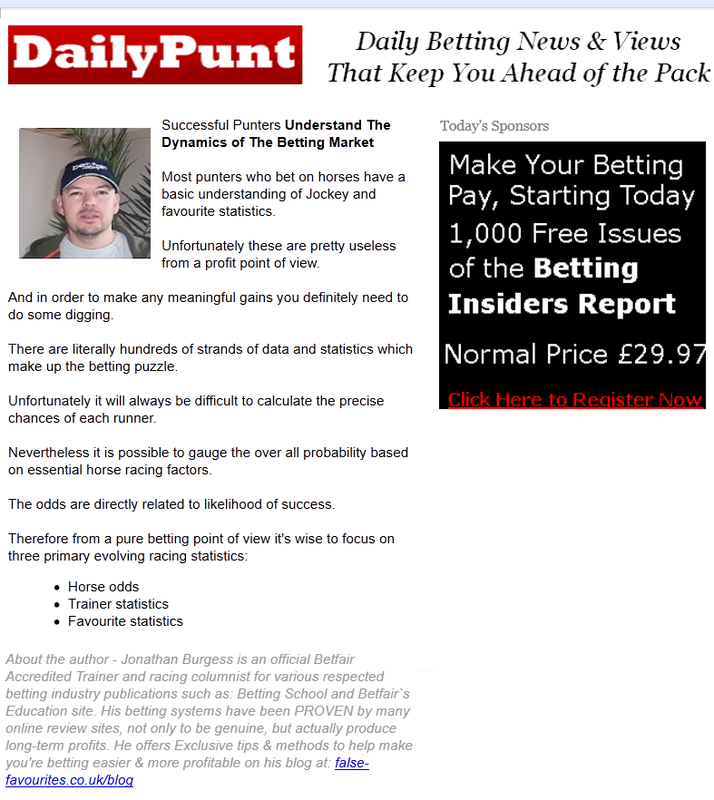 It`s well documented that its not easy to make consistent profits from racing, however with a little effort and access to the right information it is possible. Over the years I have tested many racing systems some of which were good, but predictably the majority were abysmal. 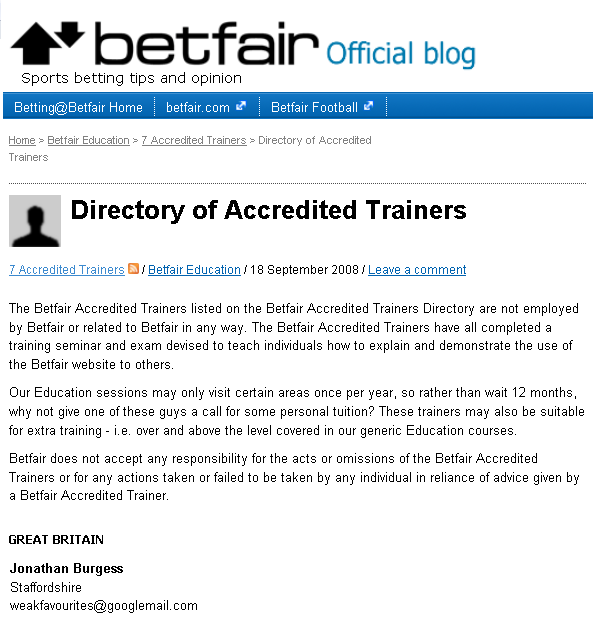 The one thing that started to become obvious was the fact that in order to make regular profits from racing a greater understanding of the sport was required; combined with access to the best information. Betfair have completely changed the way in which most punters bet. 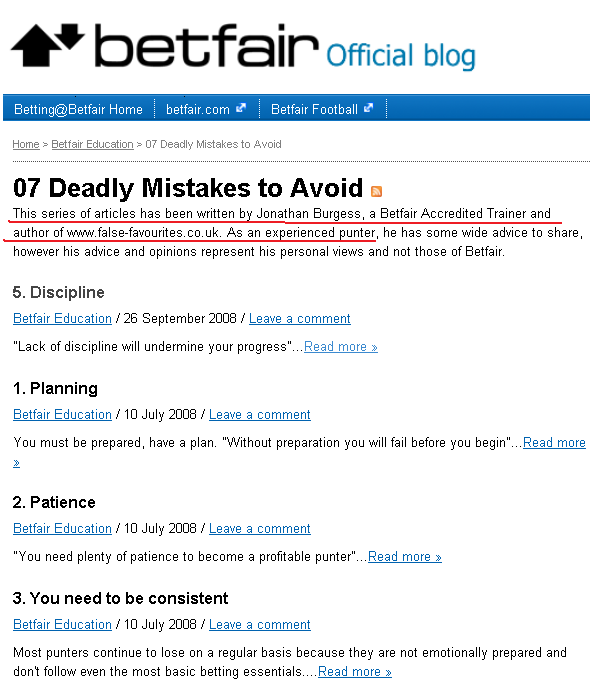 Jonathan Burgess first came to my attention when I reviewed his false favourites book for Betting School members. False favourites is one of the few products we are able to recommend. Its not a quick and superficial system but instead an in depth look at what constitutes a weak favourite. As well as being a good product Jon is always on hand to answer customers emails and support them as they learn. 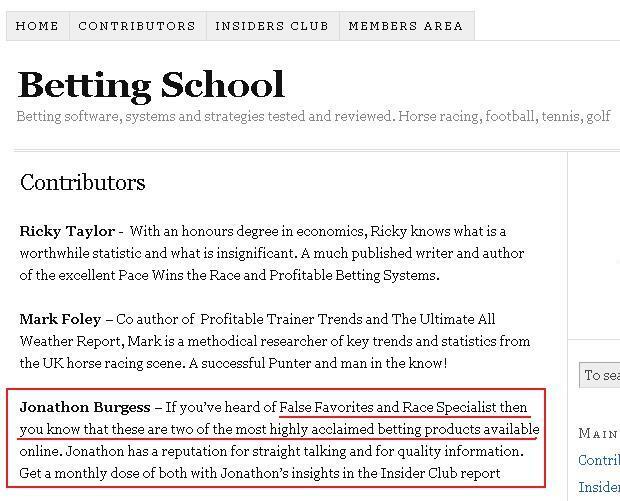 After reviewing the product I was keen to recruit JON as a writer for the betting school team…He knows his betting and shares his knowledge in a straight forward and honest way. These guys are not a group of wanna-bee’s ranting from their spare room about how they think you can win. These are experts who walk the walk and talk the talk. betting on racing, should never be considered as a matter of chance, plenty can be done to eliminate the element of luck. The punter who has no plans in place and simply bets randomly in any race will always lose. It is my aim to teach YOU the fundamental principles of racing, and then show YOU how to use that knowledge in conjunction with Betfair. Doing it this way will give YOU a far greater chance of actually making your betting pay ££££. This is exactly the type of advice I share with subscribers to the Daily Punt in my monthly articles. Bookies make consistent profits because they are organized and operate their betting activities as a business, and so should you. Don’t forget you can pick and choose which races to get involved in the bookies can`t, this is the biggest advantage you have in racing. Use it to maximize profits and only get involved when everything is your favor. Your ability to judge the difference between someone who wants to add to your prosperity and someone who wants separate you from it is one of the most valuable skills you can learn. we neither sell, nor promote Hyped betting systems. Instead our core aim is to provide you with real, honest, factual information to help you make regular profits from your betting activities.